Weather on all eight-thousanders has generally been bad to allow any summit push in past weeks. However, the conditions are improving and several summit bids are underway on almost every peak. The home team of Romanian Horia Colibasanu reports that Horia and Peter Hamor have launched their summit attempt on Everest Northside. After acclimatization (and summit) on Shishapangma, the duo reached Everest BC on May 7th. Yesterday, they moved further up to ABC (6400m). It’s reported that they are climbing the normal route now, due to adverse conditions on planned new route. However, Polish adventure Krystian Oleksiak, who is climbing with Ryszard Pawlowski, says that all commercial teams are ‘grounded’ and there isn’t any definite summit window, this week. Meanwhile, it appears that bad weather halted the progress of rope fixing team at around C3 and route from C3 to summit still needs to be fixed. 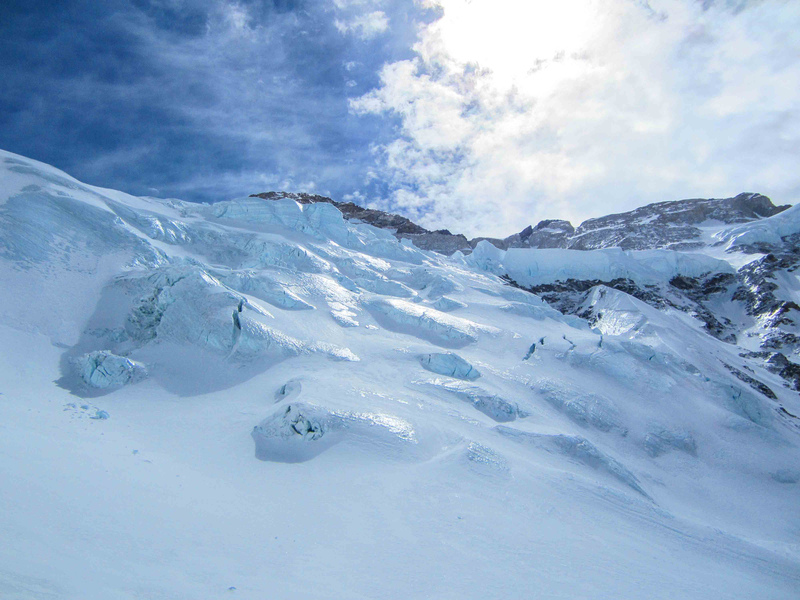 German climbers Helga Soll and Jurgen Greher were on Shishapangma earlier this season. After an unsuccessful summit attempt last week, they started their journey to Everest BC. The duo is hoping to scale the mountain without supplemental oxygen. Ralf Dujmovits and Hungarian David Klein are also attempting Everest without oxygen. Summit pushes are underway on both North and South sides of Kangchenjunga. May 17th and 18th are predicted summit days. The NW Face team was scheduled to start the summit push, today. As per plan, Alex Txikon, Adam Bielecki and Dmitri Sinev, would have left for C1 this morning, whereas Denis Urubko and Artem Braun will go up tomorrow. The five climbers will follow the British route (with some variations) to the summit of Kangchenjunga. As per Alex Txikon’s blog, Alex and Adam will try to traverse the mountain, by descending to South side. "It was an idea, we had in our heads for some time, and after talking with Carlos Soria, to know how the southern route is and (he agreed) to leave some material for us on the descent, we decided to do it. We might accompany them on the descent… It would be very nice!" Explained Alex Txikon. From South side, Italian team (Marco Confortola, Marco Camandona, Favre Emrik and Cazzanelli François), Spanish duo (Jorge Egocheaga and Martín Ramos), Carlos Soria, Bulgarian Boyan Petrov, Italian veteran climber Nives Meroi and an international team are targeting summit on May 17th. Some climbers have started the ascent, while others will be leaving BC soon. It’s reported that Cleo Weidlich and Wang Jing (with 7 Sherpa) flew to C2 to attempt Lhotse and Everest, respectively. Cleo will be solo climbing the Lhotse. German couple, Alix von Melle and Luis Stitzinger, said that they will be leaving BC in next ‘few days’. The international team which consists of Indians Arjun Vajpai and Krushnaa Patil, Malaysian Khoo Swee Chiow and members from Japan, Germany, Canada and Spain will be going for summit in two groups, aiming summit on May 17th and 18th. Khoo wrote that he will be starting the climb on 15th. All other climbers, Ferran Latorre, Fred Roux, Mike Horn and Chris Jensen Burke, are also expected to leave for the summit, soon. Another international team, Benegas Brothers Expedition, will start the ascent from ABC on 15th. They are targeting May 17th as summit day. It’s reported that ropes are fixed all the way till the summit. Dutch team led by Wilco van Rooijen has recently reached Cho Oyu Base Camp and are busy in acclimatization. The Adventure Consultants team has started summit bid on Manaslu. 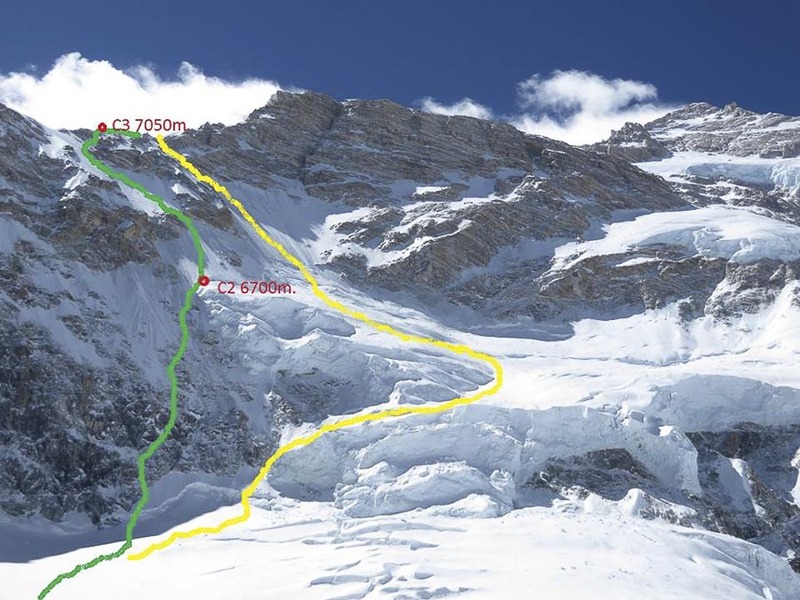 It’s reported that Sherpa team has fixed the route till C4, while climbers ascended to C1 on May 12th. It’s reported that all teams except three members of Amical Alpin and two Mexican climbers, have left the north side Base Camp. Leader of Amical team Dominik Mueller says, they will rest and wait for next summit window. Meanwhile, a team on South face of the mountain continues its light style attempt. It’s the second French Military expedition to Shishapangma South face. After acclimatization, the team launched the summit push from Base Camp on May 8th. There hasn’t been any update from the team since then, probably because they’re still on the mountain.